When news of Hurricane Maria hit IU, several members of the School of Education decided they wanted to do something to help. The result became the IU Bloomington-Universidad de Puerto Rico Education Graduate Scholars program. 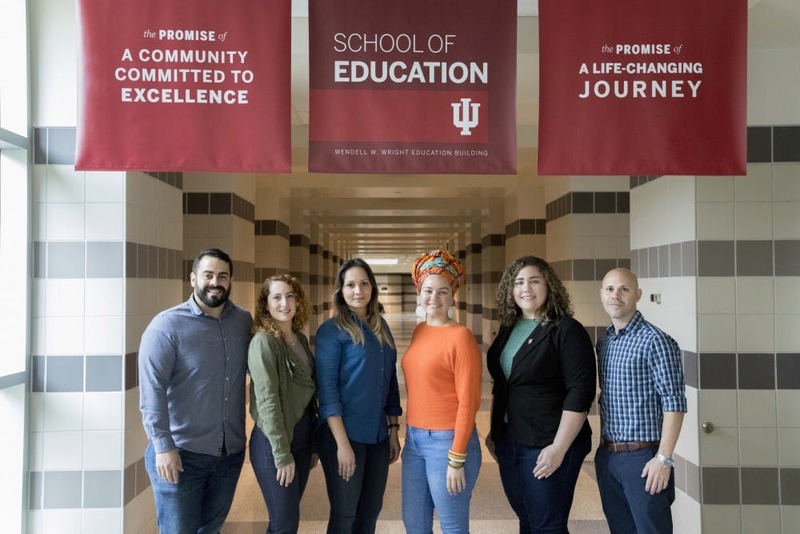 This partnership created space for six graduate education students from the University of Puerto Rico to come work and study at IU-Bloomington. 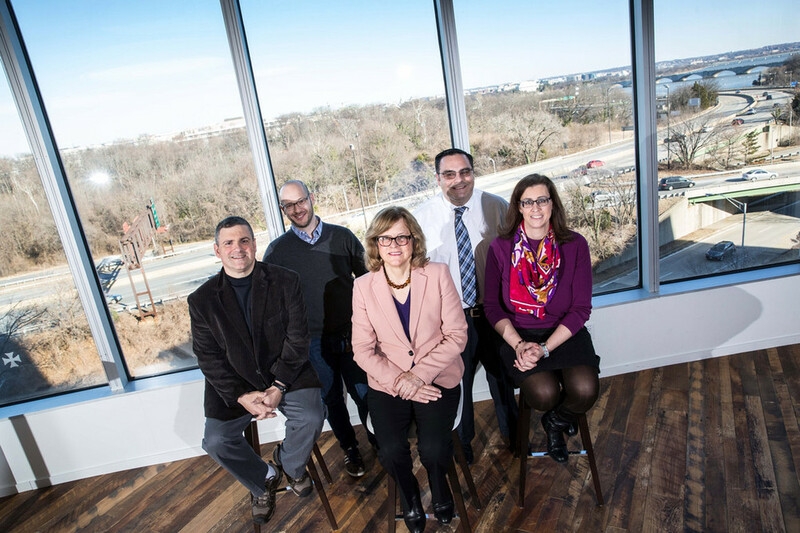 Two of the main people driving this initiative are Professor Bradley Levinson and Associate Professor Carmen Medina from the School of Education. 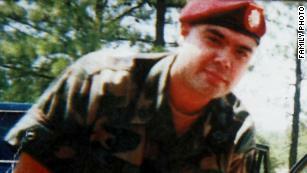 A US Army veteran who served two tours in Afghanistan says he didn’t realize he’d been deported to Mexico until it was too late to turn back. Perez was escorted across the US-Mexico border from Texas and handed over to Mexican authorities Friday, ICE said in a statement. Perez says a truck took him to an airport in Indiana. He was then flown to Brownsville, Texas, ICE said. “Black and Hispanic children in Indiana are doing worse than white and Asian children,” said Willems Van Dijk. In Indiana, Hamilton County near Indianapolis ranked as the healthiest county. The county placed first in health outcomes, which included length and quality of life statistics. Hamilton was also the best in health factors, including health behaviors, clinical care access, social and economic factors, and physical environment. What is Puerto Rico?” A state? A territory? A commonwealth? Almost everyone can remember the video of President Donald Trump throwing rolls of paper towels to the people of Puerto Rico after Hurricane Maria. 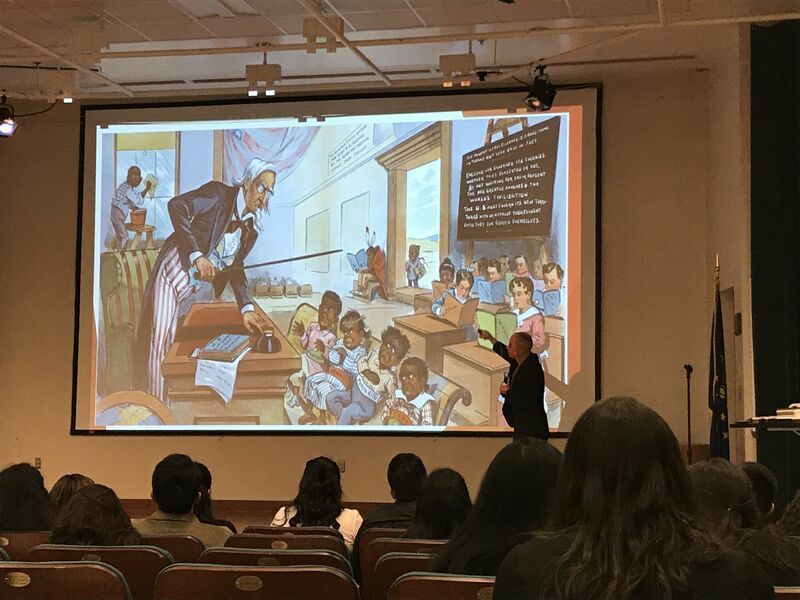 Fuentes-Rohwer, a native of Puerto Rico and current professor at the Indiana University Maurer School of Law, was one of the keynote speakers at the 19th Annual Indiana Latino Leadership Conference held at Indiana University Kokomo on Saturday. Aquel martes comenzó como cualquier otro. María Chávez Juárez estaba sentada en su clase de criminología, Sandy Rivera estaba en astronomía y Kemberly Hernández estaba en el Campus Center de IUPUI. Muy pronto el celular de María, que estaba entre sus piernas, empezó a vibrar con cada mensaje que recibía. MS-13, for him, solves all kinds of rhetorical problems. So first of all, he wants to portray immigrants nationwide as being criminals. And that’s obviously empirically untrue. But also statistically, that’s wildly inaccurate. Crime in immigrant communities tends to be much lower. Immigrants tend to be much more law abiding than citizens. It helps him shape the debate on DREAMers and recipients of DACA, the Deferred Action for Childhood Arrivals program, which is kind of a big congressional issue now ever since Trump canceled the program in September of 2017. He often mentions the two in the same sentence as a way of trying to sell wholesale draconian overhauls of border security measures and interior enforcement measures. MS-13 is useful for him there. Fresh out of college with her health sciences degree, Andrea Zepeda is urging mothers to think inside the Baby Box, as a community health doula for Community Wellness Partners in Cass County. Over 120 minutes, we learned a lot about the contours of the current immigration debate—what both sides really care about (and if it’s actually Trump’s wall) and whether, somewhere out there, there is a deal that just might be palatable to advocates who like immigration and to those who want less of it. The answer is, actually yes. No question, the results were surprising. Congress, are you listening? 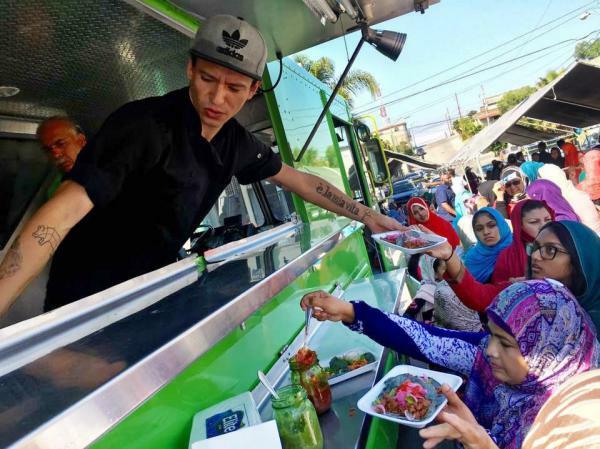 The connection between Middle Eastern and Mexican food goes all the way back to the Moors, and is well-known in culinary circles. Al pastor tacos are just a pork version of the shawarma spits that Lebanese immigrants brought with them to Mexico City in the 1930s. In nearby Puebla, a wrap called tacos árabes — Arabic tacos — uses a flatbread that’s halfway between pita and lavash. Kibbe (fried meatballs made from bulghur wheat) is popular in the Yucatán, thanks to Syrians who settled in the Peninsula over the past century. And the Lebanese-Mexican Chedraui family of Mexico City owns one of the largest Latino supermarket chains in the United States, El Super. This week, the head of the country’s oldest Latino civil rights organization took a surprising position. We are talking about Roger Rocha. He’s president of LULAC, the League of United Latin American Citizens. On Sunday, he endorsed White House principles for an immigration deal in a letter of thanks to President Trump. Those principles include border security, ending the visa lottery, cutting back on family reunification along with DACA, legalizing people who were brought over the border as young children. Rocha withdrew his letter after an outpouring of criticism and calls for him to resign. Goshen Mayor Jeremy Stutsman, wrote a letter opposing the construction of the detention center and gained a number of co-signers from the business community, was pleased with CoreCivic’s decision. “(I’m) obviously pretty happy they decided to move on and very grateful for the amount of community members, businesses leaders and elected officials for their work to benefit our county,” Stutsman said. 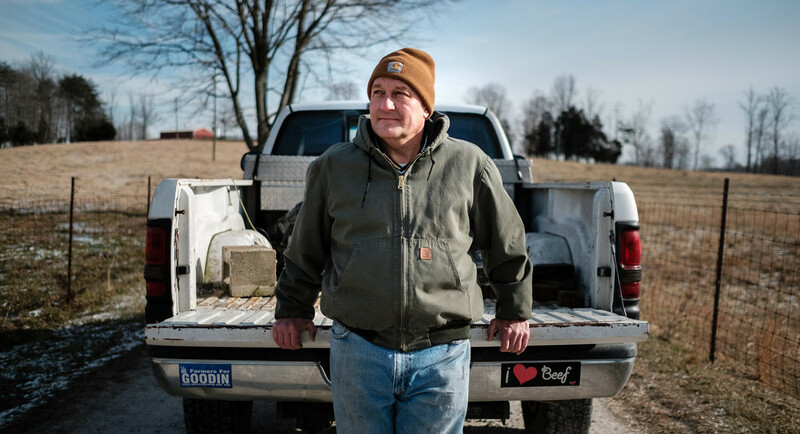 AUSTIN, Ind.—Steering his white Dodge Ram while wearing a tan knit cap, a drab green Carhartt coat and a smear of brown livestock feed on his cheek, Terry Goodin jounced over frozen-hard mud toward his 100 head of beef cattle. “Make sure they’re all four legs down and not four legs up, in this kind of weather,” he told me in his southern Indiana drawl. The temperature overnight had dipped toward zero. Now, midmorning, it stood at 16 degrees. On the rear of his old pickup truck was a “Farmers For Goodin” bumper sticker, and rattling around his head were thoughts of what he was going to say the following week in a starkly different setting—up in Indianapolis, at the regal limestone capitol building, in his introductory speech as the leader of his caucus in the state legislature. Latinos are one of the fastest-growing racial or ethnic groups in the U.S. 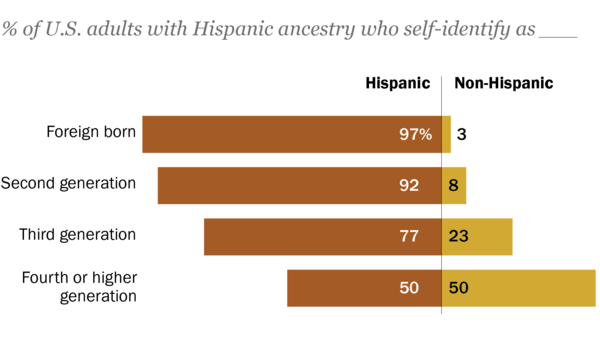 But a new finding by the Pew Research Center suggests the Hispanic population may not get as big as demographers have predicted. For years the City of Bloomington Commission on Hispanic and Latino Affairs has served to identify and research the issues which impact the Hispanic/Latino populations in Bloomington, especially in the areas of health, education, public safety and cultural competency. We support all Hispanics/Latinos including immigrants, refugees, and multi-generational U.S.-born folks who despite lifetimes in the U.S. are identified as Hispanic/Latino according to U.S. census. While the commission is not affiliated or motivated by any political party, we cannot deny that our work and sentiment is affected by the national rhetoric which vilifies and, in some cases, criminalizes the very existence of people in our community. The decision to end DACA destabilizes the lives and futures for hundreds of thousands of folks who have no other crime than having been born outside of the lines you and I know as the U.S. border. The impact of the DACA repeal means splitting up families, interrupting communities and workplaces, and deporting adults and children to countries they have never really known. And for those of us who stay, we lose relationships, and we lose our emotional and economic investments in believing in and professing an American dream for all. We hope to serve as a catalyst to promote positive public and private solutions to multi-faceted issues confronting Hispanic/Latino neighbors ensuring to document the resulting effects of action and inaction on our community. We unreservedly oppose the decision of the Trump Administration to end DACA especially without a defined and humane path forward for our neighbors, friends, and family. The U.S. Chamber of Commerce has studied and proposed common sense immigration reform for years and published detailed analysis to dispel myths, which are used for political advantage. Opinions and false conclusions have been related as truths regarding “illegals” so we compiled a shortlist of facts for clarity. 1. Do not receive free government healthcare. Undocumented folks do not qualify for Medicaid or the Healthy Indiana Plan. 2. Do not take jobs that would be filled by citizens. There is no correlation between high unemployment and immigration. Findings indicate undocumented folks become entrepreneurs – create jobs – at twice the rate as U.S.-born folks. 3. Do pay taxes. Taxes paid by undocumented folks proportionately to U.S.-born folks include property, excise, and sales tax. Also federal, state and local income taxes, Social Security and Medicare taxes are automatically deducted from paychecks just like everyone else. In 2013, undocumented folks contributed $11.6 billion in state and local taxes. 4. Are not eligible tax-funded benefit programs. Data from the Social Security Administration shows that in 2010 undocumented folks paid $13 billion in payroll taxes to Social Security and Medicare, benefits that are only accessible to citizens. – Immigrants do not drive down wages of U.S.-born workers. – Immigrants have economically revitalized many communities. – Immigrants do not cause crime rates to rise and are less likely to commit crime than U.S.-born individuals. – Mass deportation of undocumented immigrants would severely damage the U.S. economy. Facts and statistics aside, we must remember that DACA recipients are human beings and members of our community. DACA recipients have lived in the U.S. most of their lives – this is home. DACA recipients have families, jobs, and contributors to our community. To drive them away will not just damage our community as a whole but, at its base, it is cruel and inhumane. “We had a very small wedding but solemn at church,” the new bride wrote in English, her second language. The young Francesca had no idea how important her writings would become to her family decades later and into the 21st century. A federal judge has approved of a settlement between the ACLU of Indiana and the Marion County Sheriff’s Office to end Immigration and Customs Enforcement hold requests on people accused of living in the country illegally unless there is a warrant. The action comes despite the U.S. Justice Department’s intervention in the case and requests that the Sheriff’s Office comply with the ICE seizure requests. In a 36-page order handed down Tuesday evening, U.S. District Judge Sarah Evans Barker issued an injunction that prevents the Sheriff’s Office from detaining any person based solely on detention requests from ICE unless there is a warrant or probable cause. An ICE detainer is a request of local police to hold people in jail beyond the time when they otherwise should be released, generally a 48-hour period. ICE is seeking more time to check their citizenship status and, if needed, get a deportation warrant, even if the initial arrest is for something minor, say a traffic infraction. About a third of Latinos in America say they’ve been personally discriminated against when it comes to applying for jobs, being paid equally or considered for promotions — and when trying to rent a room or apartment or buy a house. Slightly more (37 percent) say they’ve personally experienced racial or ethnic slurs because of their race or ethnicity. These are some of the key findings NPR is releasing Wednesday from a poll done with the Robert Wood Johnson Foundation and the Harvard T.H. Chan School of Public Health. The survey of 3,453 adults looked at a wide range of issues in many groups and included 803 adults identifying as Latino or Hispanic. The poll also surveyed African-Americans, white Americans, Native Americans, Asian-Americans and LGBTQ adults. We are releasing data by each of these groups on a weekly basis. 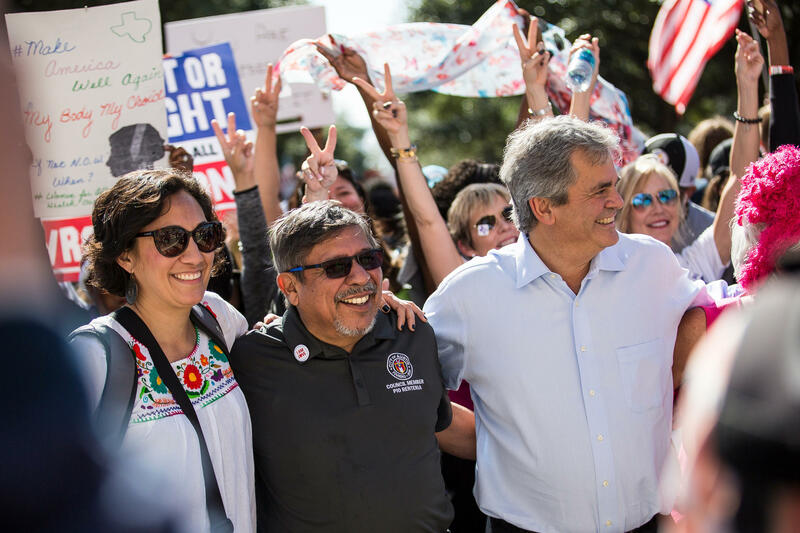 Latinos say institutional discrimination, including discrimination while trying to vote or participate in politics, is a problem in America today. However, when asked, many Latinos reported feeling better about their local government. That’s according to a new survey out this week from NPR, the Robert Wood Johnson Foundation and the Harvard T.H. Chan School of Public Health. The survey found that 15 percent of Latinos say they’ve been discriminated against personally when trying to vote or participate in politics because they are Latino. 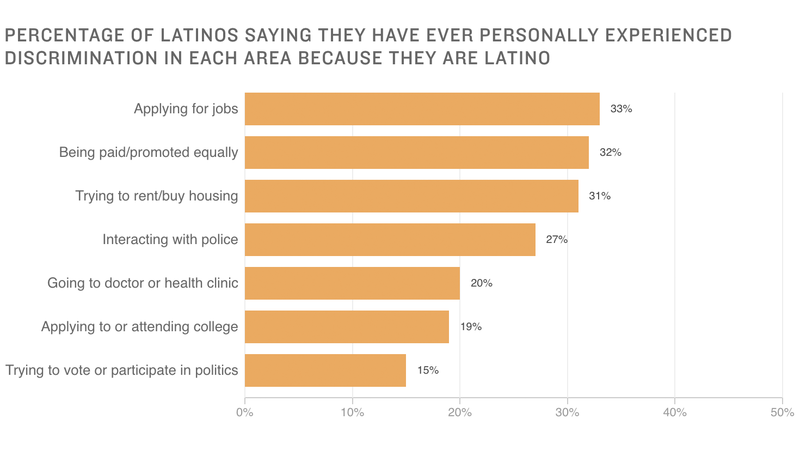 Separately, 1 in 10 says that where he or she lives, other Latinos are “often” discriminated against in voting or politics. Dominguez noted that the credit union does not concern itself with the documentation status of the immigrants it is trying to serve. “Our role is to provide education and banking services to people that present the necessary documentation to open accounts with us,” he said, citing such identification vehicles as Individual Taxpayer Identification numbers, Social Security numbers, the Matricula Consular cards (an ID card issued by the Mexican government), passports and electoral IDs, among others. Children in Indiana’s minority and immigrant populations often have a more difficult start in life according to the conclusions of the latest look at disparity in wellbeing for Hoosier kids. About 20 percent of Indiana’s population identifies as African-American, Hispanic, Asian or another non-white race. Indiana Youth Institute President Tami Silverman says a new report from the Annie E. Casey foundation finds children in these households are less likely to benefit from opportunities to grow and develop. ‘De Pueblo a Pueblo: A Benefit Concert for Puerto Rico, Mexico and the U.S. Virgin Islands’ serves as the kickoff event to raise funds for communities in Puerto Rico, Mexico and the Caribbean recently impacted by devastating natural disasters. The event will showcase a diverse collection of Latin American and Caribbean music, performed by artists who have made Southern Indiana their home, including performances by cellist Emilio Colón, Mariachi Perla del Medio Oeste, Orquesta Escuela Vieja, Soneros la Caliza and other special guests. It will also feature a series of short presentations by Bloomington community members who have recently visited the affected areas. ‘De Pueblo a Pueblo ~ From People to People,’ is a volunteer-based initiative of concerned citizens from Bloomington, Indiana, many of whom have personal and/or professional roots in Puerto Rico, Mexico and the Caribbean. This effort counts with the support of the City of Bloomington, local community leaders and organizations, Indiana University faculty, students and staff, as well as the collaboration of the Centro Comunal Latino, the Center for Sustainable Living and the Narra Foundation. Want to help? Please consider making a donation. Thank you! On the third floor of the Student Union—on any given day or time—Latinx students can be found, some speaking in English and others in their native language. They swap stories of the day, share their passions, wishes and support one another. Over the past month, the Office of Latino Programs and Services has celebrated Hispanic Heritage Month (Sept. 15-Oct. 15); here are their stories.